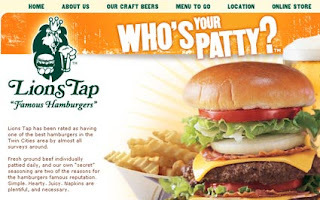 McDonald’s reached a confidential settlement with the Lion's Tap – an Eden Prarie, Minnesota restaurant which claimed trademark rights to the mark WHO’S YOUR PATTY in connection with restaurant services (registration application applied for on August 25, 2009) – over McDonald’s Angus burger marketing campaign which used WHO’S YOUR PATTY as a tagline (see billboard below). Original complaint here. Articles on the settlement from NYTimes and AmLawDaily. Duetsblog comments here. 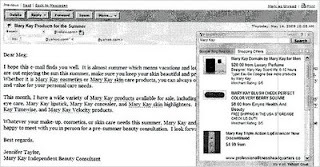 Yahoo also settled on confidential terms the lawsuit filed against it by Mary Kay Cosmetics back in July (blogged here) over pop-up ads appearing from supposedly unauthorized resellers of Mary Kay cosmetics that would appear in the “Yahoo Shortcut” feature of Yahoo’s e-mail services (pictured above). Article on the settlement from Bloomberg.